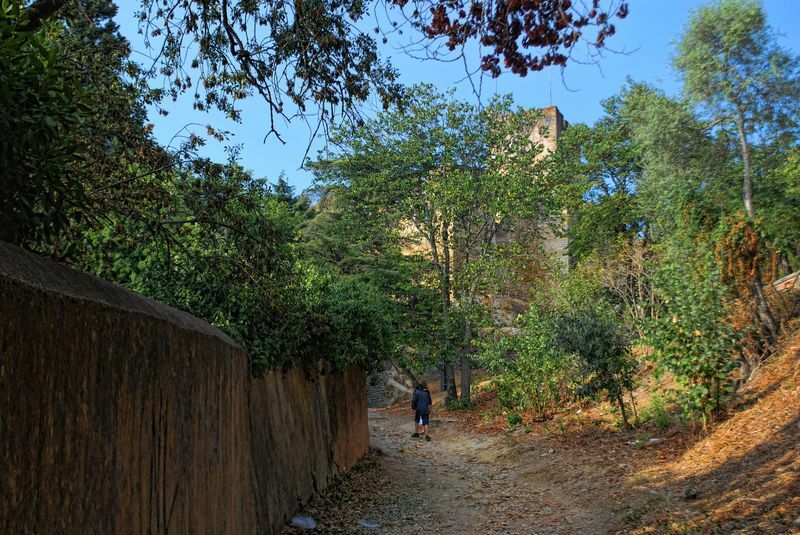 As I mentioned before, our visit to the Castle of the Knights Templar (Castelo dos Templários) in Tomar, Portugal, had to be done on foot as I didn’t have a car. So my wife, my son and I, walked up the hill until we got there. It doesn’t take long anyway, and the views along the way are fantastic. 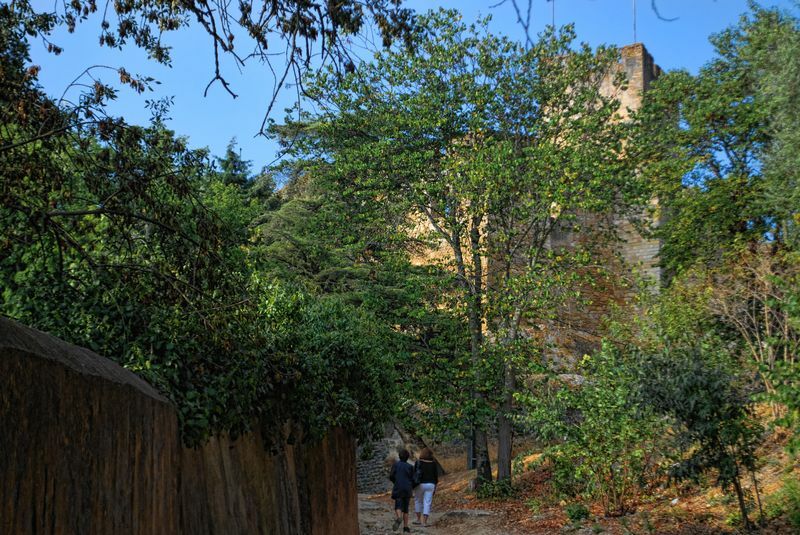 This is a bit of a story in pictures which is going to take a while to tell, so with that in view, here is another set of photos, this time the three of us arriving to the Castle of Tomar. 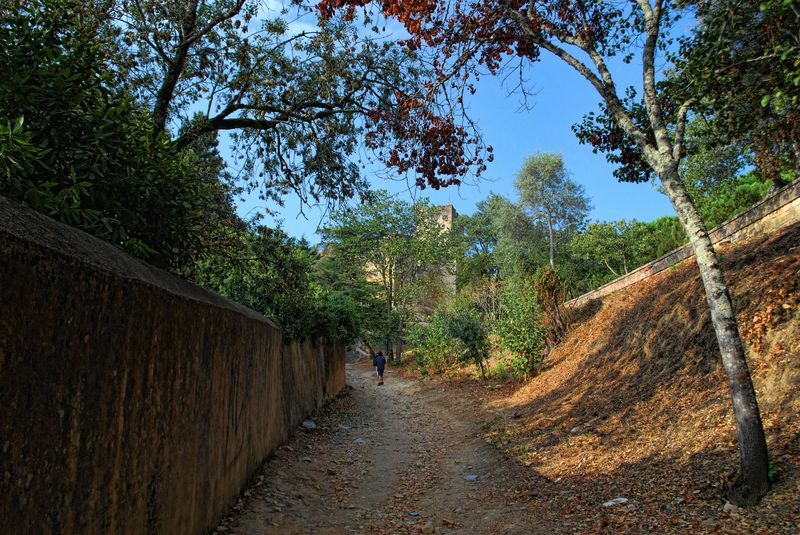 In this photo we are quickly approaching the Castle of Tomar. My son is ahead of me.